are hosting to bring people together to talk about missions. There is much yet to learn about missions, and we want to create a space for collective movement on the topic. If you are interested in missions, an avid mission tripper, a missions trip leader/pastor or organization, or even thinking about missionary life, we invite you to come be a part of our online community. 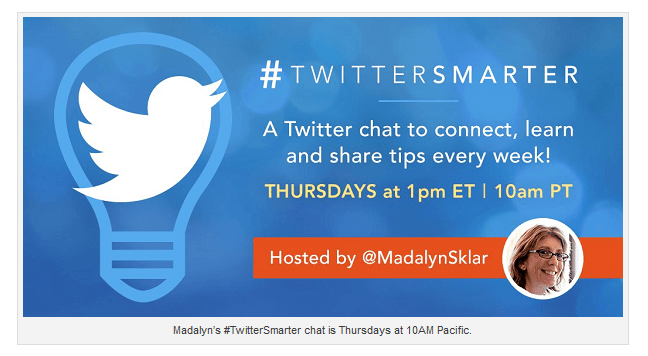 If you want to know more about Twitter Chats, www.madalynsklar.com has lots of information about them, and Twitter in general. If you click on the image above it will take you to a Social Media Marketing podcast that discusses Twitter chats.